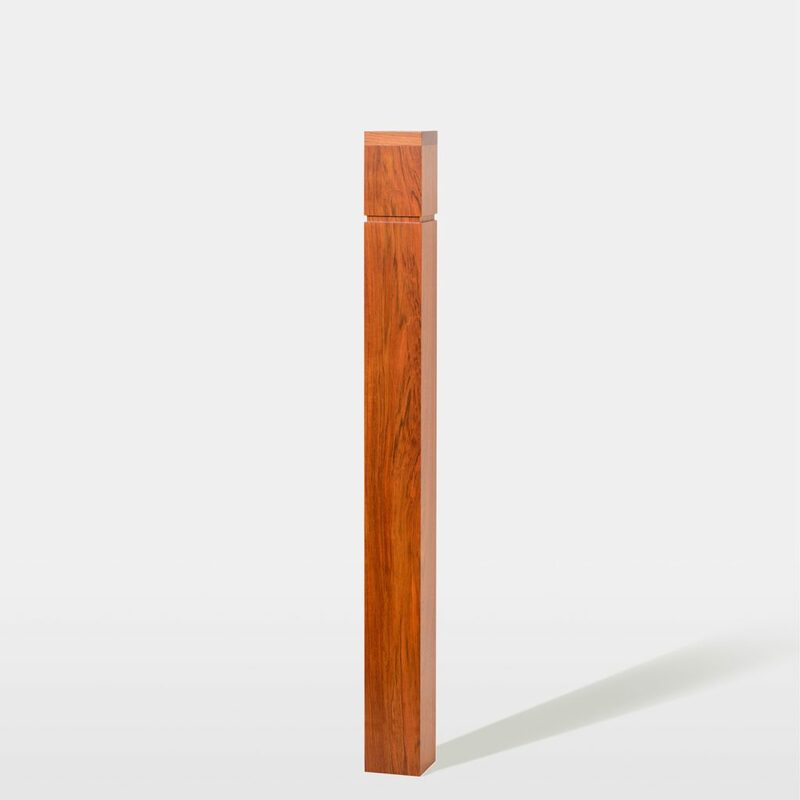 Simple and sophisticated, the 4250 Box Newel is crafted in a wide variety of materials, including Red Oak, Tigerwood, Walnut, Birch, American Cherry, and many more. 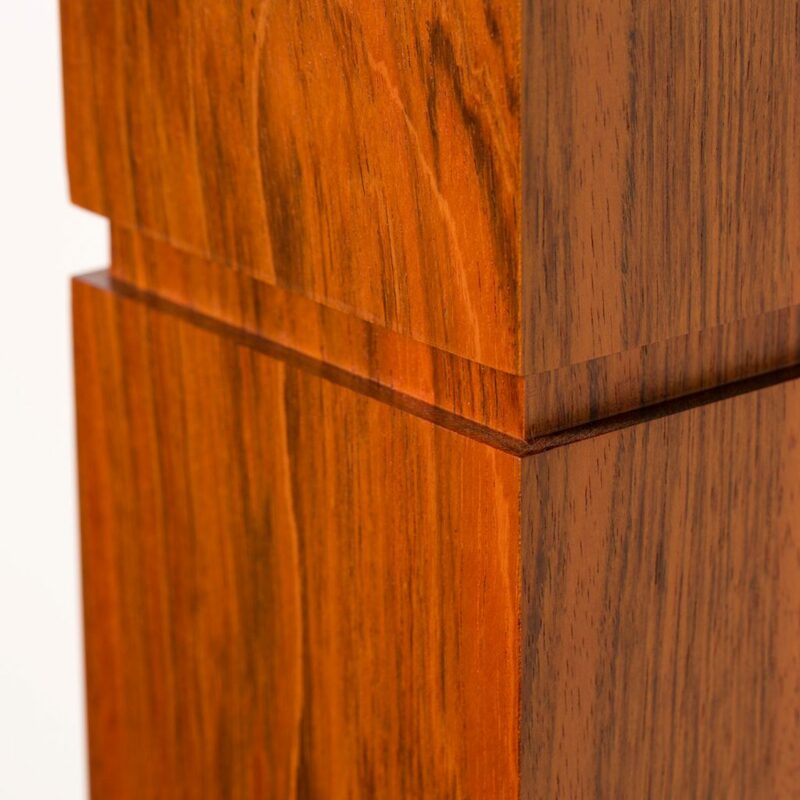 The natural wood is enhanced by our stains and finishes, demonstrating the quality of material and craftsmanship invested in the 4250 Box Newel. A narrow recessed channel wraps this newel, adding another touch of classic character to enjoy for years to come. To install your 4250 Box Newel, you will need the Box Newel Mounting Kit. Follow our Installation Video to ensure a secure fit. The Box Newel may be installed either on the surface of the stair tread or beside the tread. Due to their precise edges, we have found that Box Newels look best on a square starting step. Join handrail to your 4250 Box Newel using a rail bolt kit. 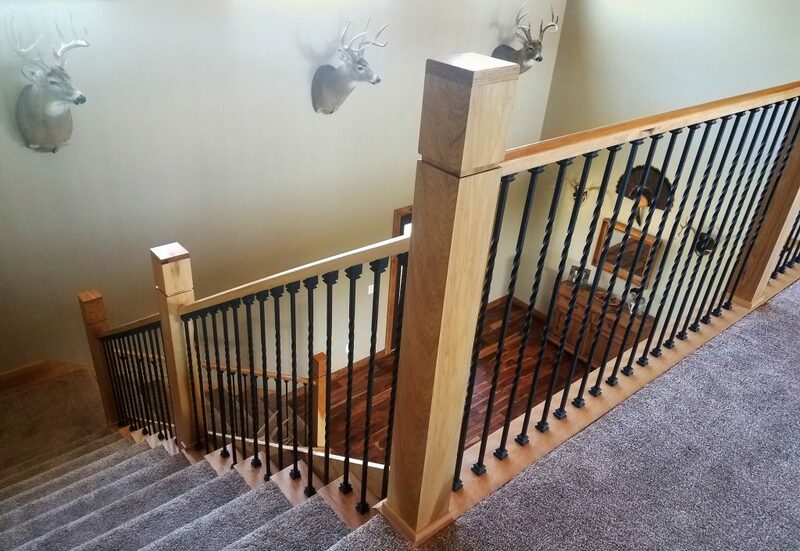 Many configurations allow handrail to mount directly into the newel; however, if your handrail is joining with your box newel on a rake, you may also require a gooseneck handrail attachment. In order to maintain a consistent appearance when handrail must terminate into a wall, we offer Split Box Newels. Attach the partial newel to the wall, and your handrail can be secured like normal. If you would like your Box Newel split in half, please select “Split in Half” in the drop-down menu above. All of our box newels are designed to be used in post to post applications. However, you could probably run a handrail over the top of this newel, but it might look a little strange to have such a large base post. what does your “split in half” option mean? is the newel split in half vertically (with 2 x 54 inch tall halves) or is it cut in half horizontally? The split is vertical. 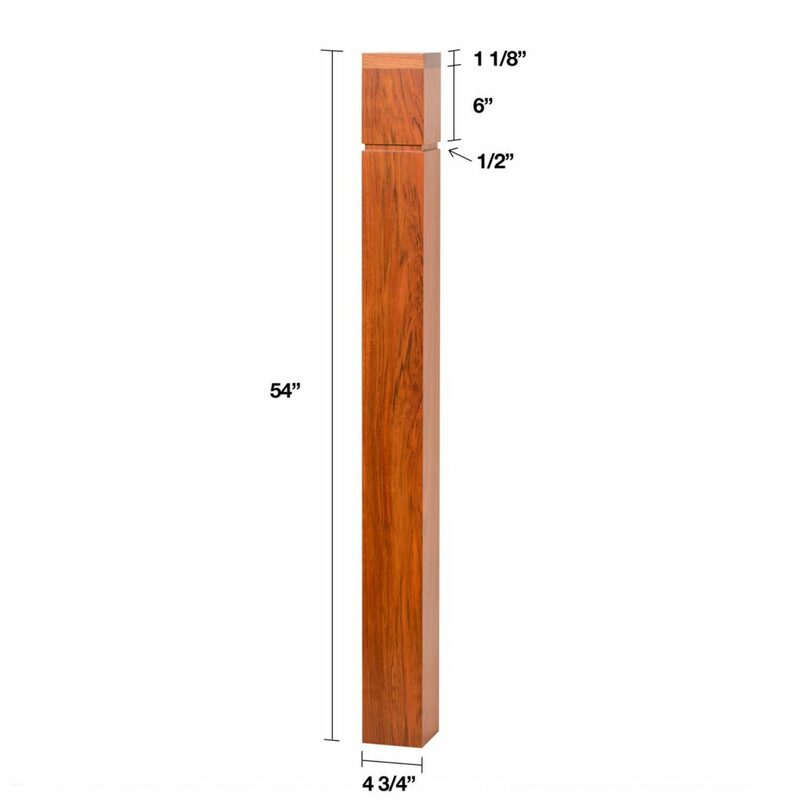 People often order a split box newel when they need to mount it to a wall. Please let us know if you have any additional questions! If I chose the Wood Type “Paint Grade” with No Finish, would I be able to stain it myself to match my hardwood floors? What’s the difference between that and the ‘Popular – Stain Grade’? Our Stain Grade Poplar is truly made to be stained. Our Paint Grade is going to be made from either Paint Grade Poplar or Paint Grade Soft Maple. The difference between stain grade and paint grade is typically the color of the wood. Stain Grade is more consistent with some light and dark patches, while paint grade varies greatly and may include some yellow, green, and purple boards that would not accept a stain. Please let us know if there’s anything else we can help you with! If I order the newel split in half, is the price for both halves? 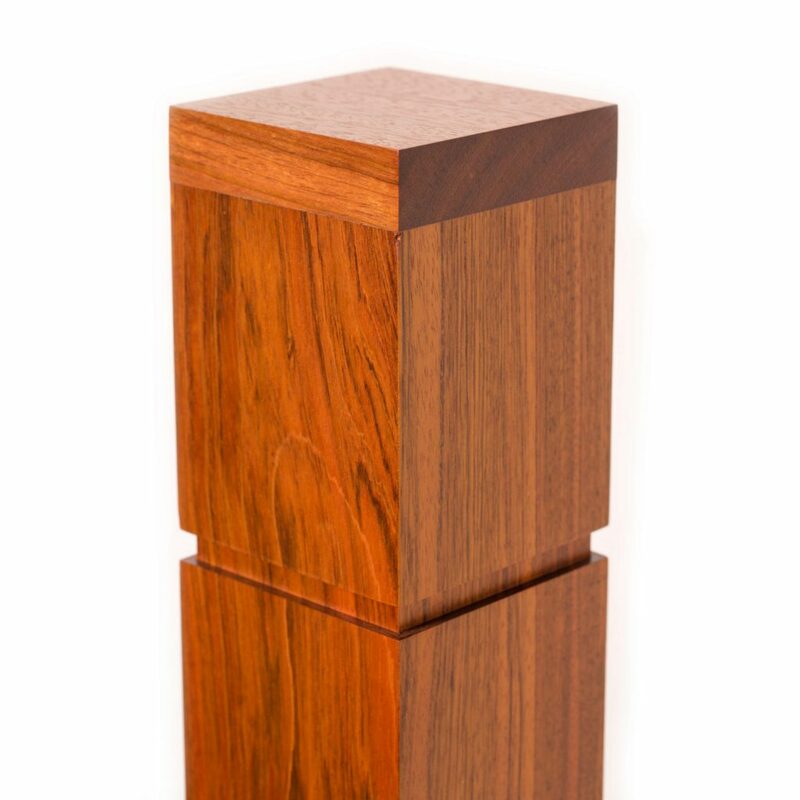 Yes, you will receive both halves of the newel for the price listed.